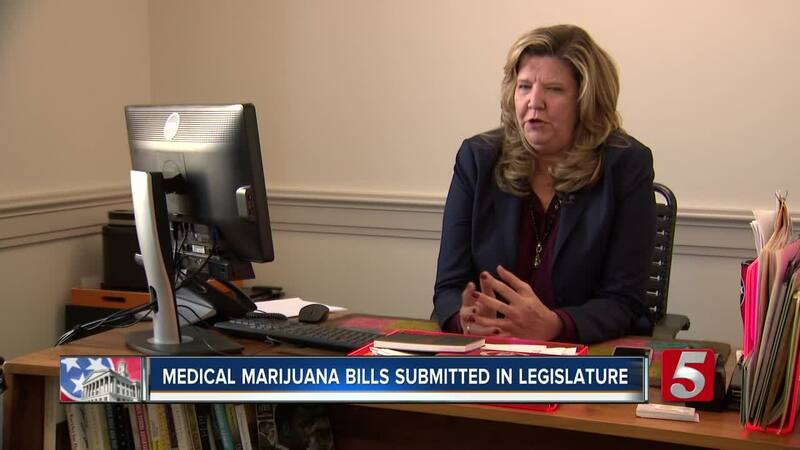 Several new pieces of legislation would change the legal status of both relatively small amounts of cannabis and out-of-state medical marijuana ID cards in Tennessee. "We're talking about 86 percent of Americans believe that doctors should be able to prescribe it as medicine," said Johnson. "We're a big tourism state and a lot of people come to Tennessee. We want them to be able to bring their medicine with them and not get in trouble for it." Johnson has sponsored previous medical marijuana legalization bills in the past, and says she supports the efforts of state republicans to legalize in the past few years. "Certainly, we're going to enforce the laws as they are. But I think that, we need to revisit it, what we're doing right now is not working," she said. Johnson's other bill would decriminalize the possession of up to an ounce of marijuana in the state. Johnson said her support for cannabis was started off when her father was battling pain from his multiple sclerosis without a good way to manage it.